How Does Your Engine Run and "Let it Go"
Trains: For our train large group activity, we are going to use the same format that Melissa did for her 'Monster Truck' activity. This will help emphasis and review the concepts the students were learning about the prepositions "Under", "Behind", "Through", "Over" and "On". The students will all have a train car to wear with a number on it. We will line up numerically helping the students figure out which car comes next. 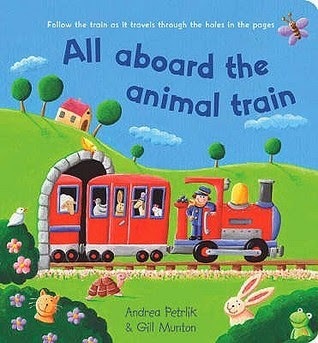 We then will go under the table, behind the mountain, through the tunnel, over the bridge and on the tracks as we make it back to circle time. We then will switch up the numbers and let someone else be the engine and caboose as we get to do it again. 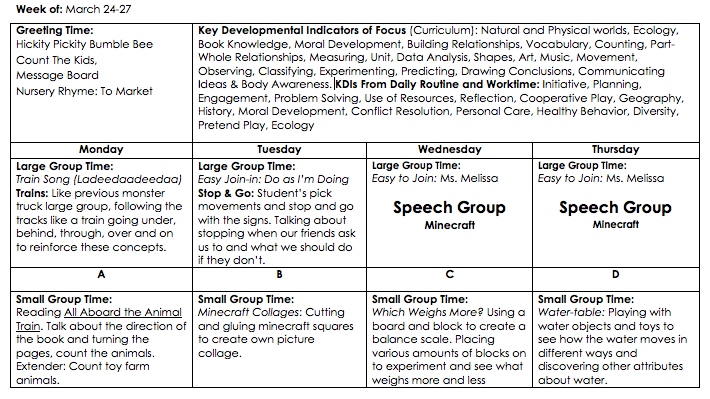 Stop and Go: We've had a lot of discussion in our class lately between peers doing something we don't want them to do, their friends saying stop and them not stoping so we're going to have a large group activity on it to practice. Starting with the teacher, we're going to take turns deciding which way to move our bodies (eg. clapping hands, stomping feet, flying like Iron Man). When the "stop" sign is showing, we stop quickly and when the "go" sign is showing we can move again. Then we will talk about how if our friends ask us to stop we need to stop. If we need a friend to stop, we can stay "stop" and if they don't listen, we can go to an adult instead of hitting or pushing them back.